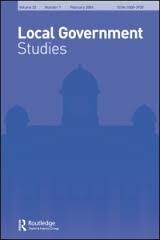 L. Athias, 2013- Local Government Studies, 2013, Vol. 39 (3), pp. 312-331. Abstract : When deciding to resort to a PPP contract for the provision of a local public service, local governments have to consider the demand risk allocation between the contracting parties. In this article, I investigate the effects of demand risk allocation on the accountability of procuring authorities regarding consumers changing demand, as well as on the cost-reducing effort incentives of the private public-service provider. I show that contracts in which the private provider bears demand risk motivate more the public authority from responding to customer needs. This is due to the fact that consumers are empowered when the private provider bears demand risk, that is, they have the possibility to oust the private provider in case of non-satisfaction with the service provision, which provides procuring authorities with more credibility in side-trading and then more incentives to be responsive. As a consequence, I show that there is a lower matching with consumers’ preferences over time when demand risk is on the public authority rather than on the private provider, and this is corroborated in the light of two famous case studies. However, contracts in which the private provider does not bear demand risk motivate more the private provider from investing in cost-reducing efforts. I highlight then a tradeoff in the allocation of demand risk between productive and allocative efficiency. The striking policy implication of this article for local governments would be that the current trend towards a greater resort to contracts where private providers bear little or no demand risk may not be optimal. Local governments should impose demand risk on private providers within PPP contracts when they expect that consumers’ preferences over the service provision will change over time. L’intégralité de l’article est disponible en fichier attaché (voir ci-dessous).